– the advertisement manager operating section. 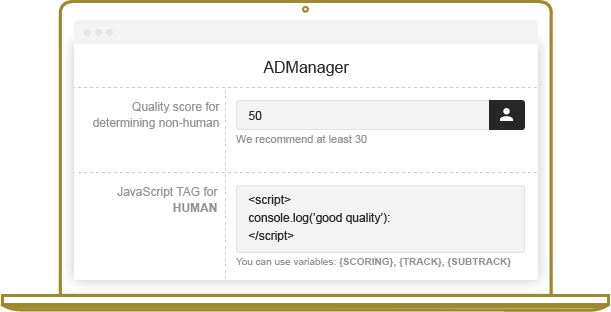 Advertisers typically use AdManager in order to run their ads through the White Diagnostic system. This is an extremely effective pre-bid tool in helping advertisers reduce the cost of their budgets by preventing the access of low quality traffic to your ad campaigns. Working with external traffic conversion systems, you have the option to upload us the data about the fact of the conversion using aPostBack URL.